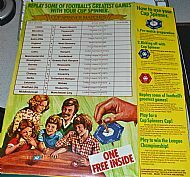 One of several 'back of the packet' games from cereal companies over the years. 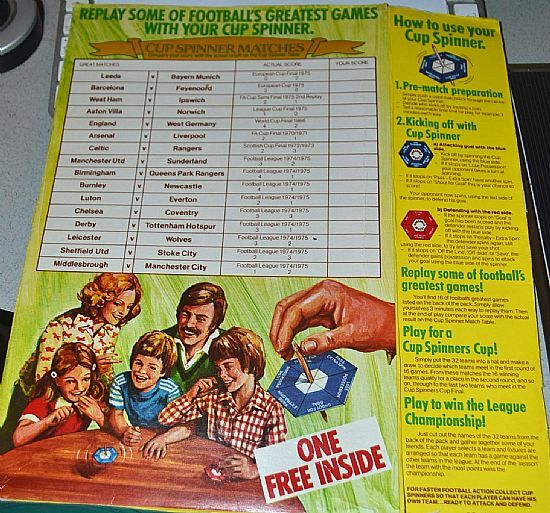 This was a bargain basement one - you might have expected the spinner to be plastic rather than card! Dates to 1975. 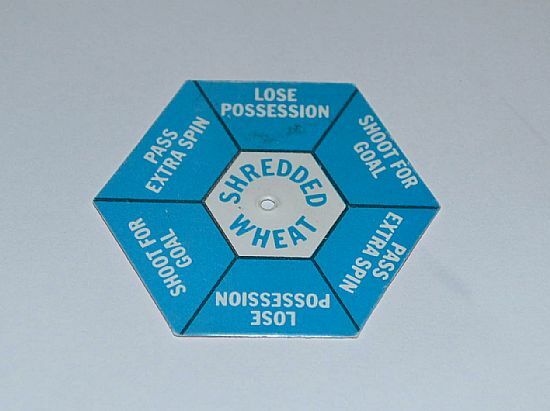 A simple game - basically Pokkit Socca dice using a spinner instead. Interesting period match results on the back of the packet. The blue side is your possession side of the spinner - pass, shoot or lose possession. 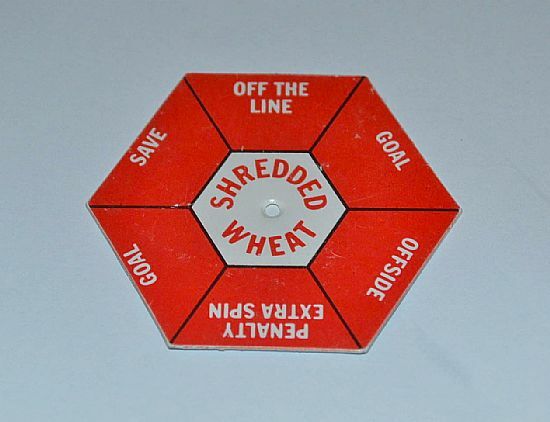 The red side is the outcome side of the spinner - goal, save, offside, goal etc.